Emory senior Mariangela Jordan, selected as the 2012 Lucius Lamar McMullan Award winner, came to Emory as a transfer student in fall 2009 after working in a number of jobs, including driving an 18-wheeler truck. Emory University senior Mariangela Jordan is the recipient of the 2012 Lucius Lamar McMullan Award, one of Emory's highest student honors which also comes with $20,000 — no strings attached. 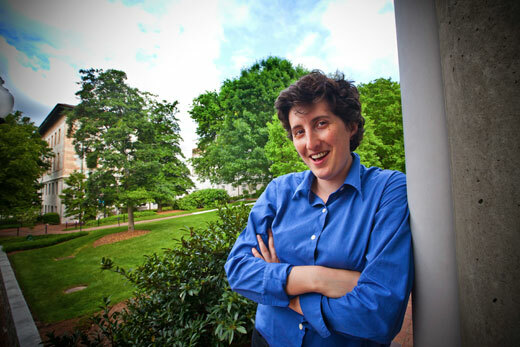 The McMullan Award, endowed by Emory alumnus William L. Matheson in honor of his uncle, is given to a graduating senior who exhibits "outstanding citizenship, exceptional leadership and rare potential for service to his or her community, the nation and the world." An immigrant from Romania, Jordan grew up under the country's brutal Communist regime. That experience eventually pushed her to pursue the opportunities available in the United States, where she has gone from starting out as a janitor to driving trucks, to now preparing for graduation from Emory. "To receive this award is very humbling. It's been a long difficult road. This phase of my life feels like a bonus lap. I felt no hope as a kid in Romania," she says. "Being free is still amazing, every single day." Time at Emory: "I did not sleep much"
Described by a nominator as having "the intellect of a scholar, the creativity of an artist and the voice of a poet," Jordan has maintained a near-perfect GPA as an anthropology major in Emory College of Arts and Sciences since transferring to Emory in 2009. She has worked extensively with the local Atlanta refugee community as a tutor and advocate through the International Rescue Committee as part of Emory's Ethics and Servant Leadership program. She is currently conducting independent research in Clarkston, Ga. She will continue her research with political refugees both in Clarkston and in the Mizoram region of India, when she begins a graduate program in anthropology at Cornell University this fall. "My time at Emory was challenging academically but also gave me the opportunity to practice and apply social justice and serve the community. I did not sleep much," she says. "Emory University is amazing. I'm not sure if my peers really understand the access they have here: to be able to walk into a library with millions of books by the simple swipe of your student card and to work directly with faculty interested in your success. Not to mention the unlimited opportunities to develop their individual potentials, no matter what their interests are, that Emory offers its students." Despite earning a degree in nursing in Romania, she found herself with limited options and decided to leave in 2003, first going to England (where her father lives as a political refugee) and then to the United States where she settled in South Carolina. She took any and all jobs, working as a janitor, as a roofer, and in a gas station, first as a cashier then as a manager of the business. "It took me a little while to figure out the American system, but I knew that in order to succeed I would need more education," she says. "So I decided to offer myself the gift of education. But to do that, I first had to save enough money so I could go to school for a year while still being able to provide the support to my family." That decision literally put her on the road. Jordan crisscrossed the country as a big rig trucker driver for one year, saving money for her education while sending money home to Romania to support her mother and grandmother. She first learned of Emory on New Year's Eve 2008 while pulled over on the side of the road in Wyoming where the roads had been closed due to a storm. A search on His Holiness the XIV Dalai Lama (a Presidential Distinguished Professor at Emory) led her to the University's website where she was impressed at the variety of research, programs and outreach at Emory. Jordan started her American education at a community college, Greenville Technical College, where she was accepted into the honors program. Her professors soon saw the immense potential she had as a student and encouraged her to apply to a four-year university. Although she was lined up to attend another school, she applied to Emory at the last minute at the suggestion of a friend who worked in the theater department, and was accepted. In addition to her work with refugees and the Center for Ethics, Jordan has served as a leader on campus in other ways. As president of the Ethics and the Arts Society, a student arts organization exploring the role of arts as a tool for social change, Jordan organized multiple collaborative art events on campus highlighting the intersection between creativity and ethics. She has been a member of the Emory College Honor Council, the Omicron Delta Kappa Leadership Honor Society and a member of the Emory Leadership Executive Roundtable. She was named the Emory Alumni Board Leadership Scholar in 2011 and selected for the Unsung Heroine Award by the Center for Women this year. She received the Phi Theta Kappa Reynolds Scholarship for Poetry in 2009 and the Outstanding Junior Award from the Anthropology department in 2011. She also managed to co-found Purple Mind Productions, a Romanian-based independent television production company she runs with CEO Liliana Ciobanu, a journalist in Romania. 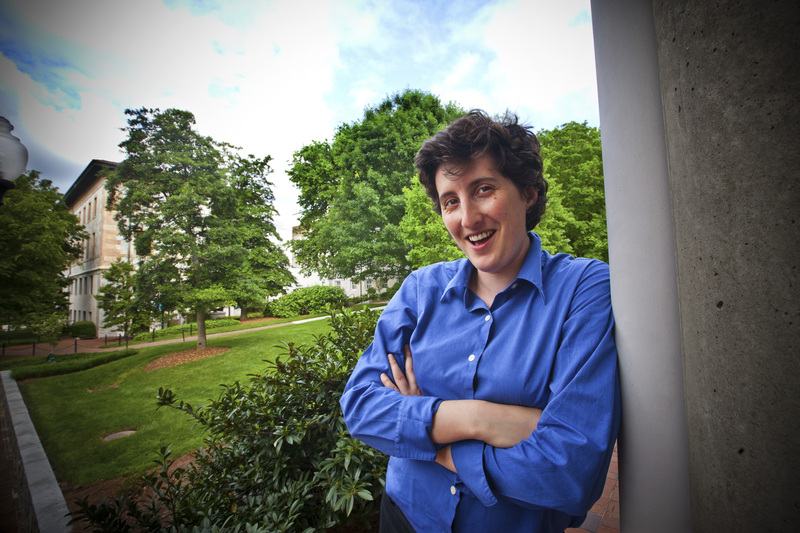 "I count myself lucky for having had access to a high quality education at Emory. It took a lot of hard work to get here, to get to this inner-circle where I could get access to an education that is on par with my potential," Jordan says. "Sadly, many people on this planet never get such an opportunity. They never get to live beyond mere survival, no matter how much blood they sweat. They never get to know themselves and the fullness of their potentials. And this, to be frank, is disheartening to me because in a truly sane world it should really be a normal expectation that all people have the opportunity to fulfill their potentials."